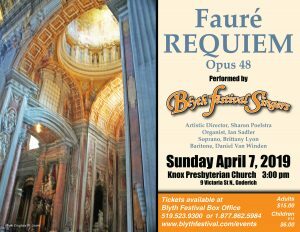 Founded in 1980 the Blyth Festival Singers is a county-wide community choir under the professional direction of Sharon Poelstra. 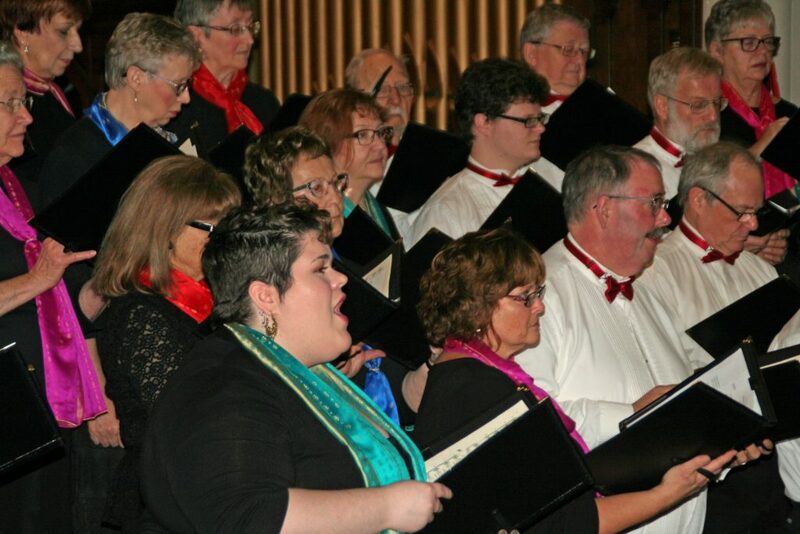 The choir, averaging between 40-50 members, performs primarily in Huron County and presents a variety of choral singing. The choir has something for everyone – from art songs from all eras, popular music, Canadian and world folk songs, to sacred and secular masterpieces. New members are always welcome. The choir rehearses on Wednesday evenings in Blyth. The Singers rehearse on Wednesday evenings in Blyth from September to May. If you are interested in joining, please speak to one of the choir members, or email blythfestivalsingers@gmail.com or call 519.482.9306. If you wish to make a donation to assist the choir in maintaining its high standard of musical excellence, please contact the Blyth Centre for the Arts. Our popular event featuring a full course dinner, silent auction and great entertainment makes for a fun evening out! Artistic Director Sharon Poelstra B.Mus., B.Ed. Sharon Poelstra began conducting ensembles in high school while still a band student. A music degree focused on instrumental music and choral conducting, and was followed by another degree in Voice. After first teaching high school music, Sharon changed focus to a singing career in Opera and concert. 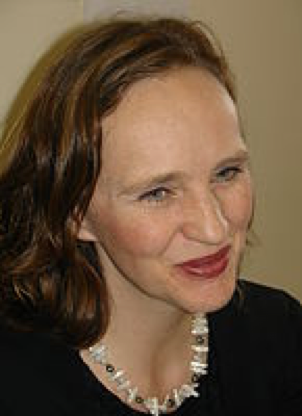 In 1998, she returned to conducting when she founded the “Intermediate Vocal Ensemble” at the Manitoba Conservatory of Music and Art where she was a faculty member, teaching Voice and Music Theory. From 2000 to 2013 she was the Artistic Director for “The New Tecumseth Singers” near Alliston, Ontario. Their diverse repertoire spanned pop to world music and works by Vivaldi, Handel, Haydn, Mozart, Faure & Rutter. During her tenure, Sharon produced the choir’s recording “Look to this Day.” Other conducting experiences include the Headwaters Concert Choir, the Brampton Festival Singers, the Stratford Concert Choir and St. John’s Anglican Church Choir, Stratford. In 2003, as President of the New Tecumseth Arts Council, Sharon co-founded the “South Simcoe Festival of the Arts.” She also served for eight years as an Executive member of the Ontario Chapter of NATS (National Association of Teachers of Singing). From 2010 to 2012 Sharon was part of the Artistic staff of the St. Marys Children’s Choir and enjoyed the adventure of conducting children. Most recently, in 2014, she founded the women’s chamber choir “Kinnaris” in Stratford. This is Sharon’s fourth season as Artistic Director for the Blyth Festival Singers. Born and bred in Stratford, Julia studied piano with Miriam Haines Root and pipe organ with John Blackburn. She holds an MMus in oboe and English horn performance from the University of British Columbia and a BEd from the University of Western Ontario. 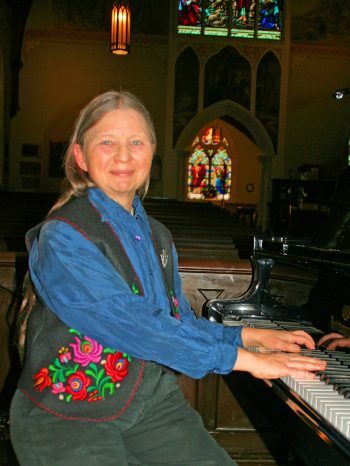 She has accompanied the St. Marys Children’s Choir and the St. Marys Community Players, been a church musician and currently plays for the Music Club at the Eileen Langley Centre. Her travels have taken her to the Western Arctic, Mexico and Nepal and many places between. She is the sole proprietor of the Pulse Beneath the Skin, offering massage and other healing modalities for animals, as well as farm and house sitting. She resides in Embro.